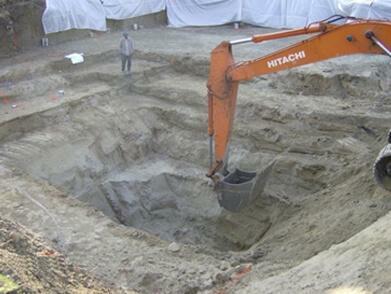 When it’s time to hire best excavation contractors to your home. Then, you must choose potential demolition service providers Melbournee from a list of several candidate companies. They are offering different estimates, quotes and are available in different sizes and histories. It’s not an easy task to choose the unique contractors from numerous candidates. Here, we have put together some tips to make your listing out easily.Before making a final decision you have to consider its location and size. Know About Their Reputation: When you are going to choose the excavating contractors, check the candidate company’s reputation and its establishment. It is a good idea and very logical also to dig their background by seeing the website and contacting the company representatives. Go for Referrals: For a proof once meet with their clients because every company will state they have done great work. Find out and get their opinions, contact them if their portfolio of work is completed and is similar to your own project. Let you Know that, are you happy with their quality of work? Are their contractors being professionals? If any unexpected crop up? What did they do? Hire them if their contractors stand over its work so that they can perfectly happy for you to dig around. Consider words of mouth: Speak directly with the people, who have already hired excavator contractors. They can suggest the best contractor or you can get to know that you are going in the right direction. Job types and its varieties: Usually we know by experience that every job is differentand handling invaluable hurdles that can crop up. It’s very significant that you have to know the range of the project candidate companies have worked on and tasks they completed, including trench and excavate footings, post digging,stump grinding and moving soil. Dealing with other companies:This is also another key element in experience working with other companies and crews. The excavator is hired professionals like Irrigation installers, landscapers and builders, experts. To operate the excavator services,the contractor must be properly certified in order to regulate the construction and demolition sectors and the available quality services, this is the best way. Make sure that they have fully trained staff or not. Check the payment options:Generally different contracting firms have different billings and payment practices. You need to check their terms and structures that suits you or not. Comprehensive Rates: Compare with market prices, to know they are offering reasonable rate or not. In some cases, contractor may deliver cheap services.Be ensure for that price they are providing affordable services or not. Payment Flexibility: Most of them offer options so that you can manage your bill better. Make your decision fast and easy by following these tips and get the best excavation contractor.